Nonwoven material is used in hygiene products like diapers and sanitary napkins because it is soft, absorbing and allows moisture to permeate. It is also used as disposable cover sheets for beds and tables in the healthcare and massage sector. Nonwovens like chemically bonded nonwoven and spunlace are soft and very good for hygiene products in contact with the skin. Spunbond is a litter stiffer and more resistant, but can be made soft for products in contact with the skin. There is also special elastic spunbond that can be used in diapers to follow the baby’s movements. Nonwoven is very flexible as a material, and the softer nonwoven materials used in hygiene products are developed to be breathable and allow air to permeate. Depending on what the needs are, there is soft nonwoven material that either absorbs or allows moisture and liquid to permeate. For example, a special coated spunbond that allows vapor/moisture to pass through but blocks liquid is important for comfort in products like diapers and sanitary napkins. 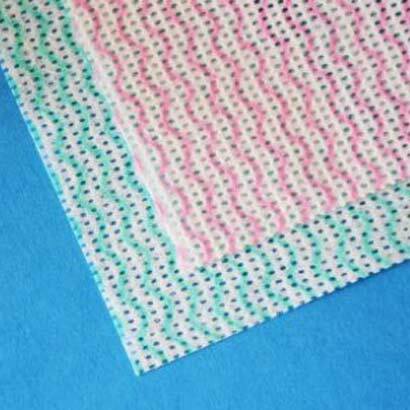 Because nonwoven is resistant to liquid, it is more durable than paper, for example. It is also both stronger and softer than paper products. We deliver different types of soft nonwoven materials for hygiene products with different absorbency levels and different moisture and air permeability levels to manufacturing companies. We have Scandinavia’s largest range of nonwovens, but we also develop nonwoven based on needs. Contact us if you are unsure about which material best suits your product. We have liquid-absorbing and soft chemically bonded nonwoven by the roll with different properties, in different sizes and weights. Our soft spunlace is delivered by the roll and is both absorbent and stretchy. We have soft thermobond nonwoven by the roll in different sizes and weights. 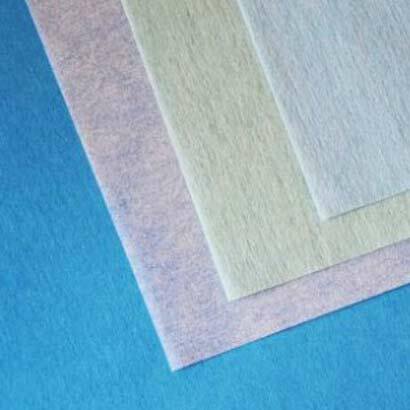 We have soft spunbond what allows moisture to permeate. Spunbond does not absorb liquid, but is breathable. We deliver by the roll or the sheet in different sizes, thicknesses and colors, and with different properties. We also have a unique elastic spunbond in our range that is excellent for products like diapers.